Yes, please bring your four-legged pals to our showroom! That is, bring them if you don’t mind us getting distracted and loving on them. After exploring our showroom, Mugsy got a little worried and started looking for his dad. We are definitely pet friendly and so are our floors. Even if you have a 150+ pound Rottweiler, bring your furry friends in… soon… I miss my German Shepherd, Reina, and a four-legged fix is in order. Chris is our General Manager of Retail Sales… and he LOVES dogs! The Latest Designer Wool Remnant Shipment From Stanton Is Here! Here is what just hit our remnant area from Stanton. Our Beltsville, Maryland showroom just outside Silver Spring, College Park and Laurel. Remember, it’s first-come, first-served with these and no holds can be placed on them. These fantastic pieces are priced from $3.99 – $6.99 per square foot instead of over $15! CALYP – CALYPSO 80763 – JETTY . This one is already sold… sorry! Email Chris for more information or to set up a time to see what we have in stock. Chris is our General Manager of Retail Sales. Reina, his German Shepherd, is not. Author carpet1beltsvillePosted on December 22, 2017 February 11, 2019 Categories Carpet Remnants and Stock Flooring Cove Base Vinyl Tile Inventory in Metro DC, Silver Spring, College Park, Beltsville, Laurel, Maryland 20705, UncategorizedTags designer carpet, stanton carpet, stanton wool remnants, wool carpet, wool carpet me, wool carpet remnants dc, wool crapet md, wool remnantsLeave a comment on The Latest Designer Wool Remnant Shipment From Stanton Is Here! Are you an ASID or IIDA member looking for local CEU courses in the DC area to keep your professional certification current? Send Chris an email to get on our list so we can keep you in the loop as we host courses in our offices. You will also have access to our designer wools in our remnant area and first looks at packages as they arrive. In-Stock Luxury Vinyl Tile Plank Sale in Beltsville, Laurel, Silver Spring, College Park Maryland. 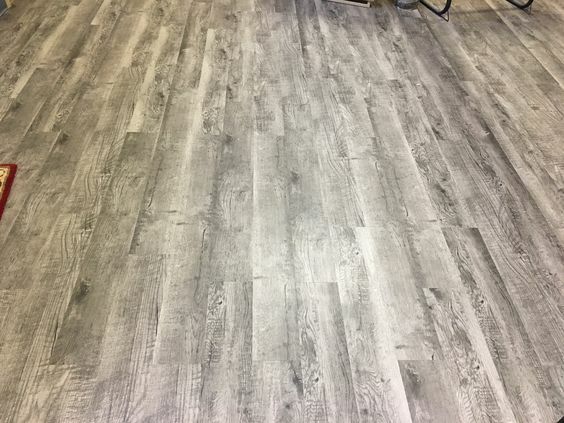 $1.29/ft for our Luxury Vinyl Tile Plank by Mohawk – in-stock and ready to go in our Beltsville, Maryland warehouse. Below is an image of the flooring we have on sale. We had it installed in the remnant area of our showroom to give customers a better view of what it looks like installed. We have pallets and sell this beautiful floor by the full carton. Mohawk Batavia luxury vinyl tile plank, style BAT-41, color 124 Peppercorn. Call 301-937-0030 or email Chris for this and other specials. Chris is our General Manager. Reina is his German Shepherd. Author carpet1beltsvillePosted on December 18, 2017 December 27, 2017 Categories Luxury Vinyl Tile Plank Sale In Beltsville, Silver Spring, Laurel Maryland, UncategorizedTags beltsville flooring, cheap vinyl floor, cheap vinyl tile, laurel vinyl tile, lvt maryland, maryland vinyl tile, vinyl flooring saleLeave a comment on In-Stock Luxury Vinyl Tile Plank Sale in Beltsville, Laurel, Silver Spring, College Park Maryland. Kaleen broadloom carpet is stylish and durable… and we have stock on the way to our Beltsville, Maryland warehouse just outside DC, College Park and Silver Spring. We can make custom area rugs and runners from any Kaleen product. We can also install it wall-to-wall in your room. Call 301-937-0030 or email Chris for more information on this exciting line of designer carpet! Below is our current available carpet inventory in our Beltsville, Maryland warehouse just outside Silver Spring, Laurel, Rockville and College Park in Metro DC. We also have many thousands of linear feet of vinyl and rubber wall base, as well as vinyl, rubber and porcelain tile. Email Chris to learn more and see what may have changed since this was posted on December 16, 2017. In-stock commercial sheet goods in Beltsville, Silver Spring, Laurel, College Park, Adelphi Maryland, Metro DC. If you see something you are looking for, rolls are sold whole. We cannot make cuts, but once you see the price, you won’t mind! This post’s effective date is 12-16-2017. Inventory constantly changes. Email Chris to see what we currently have in-stock.